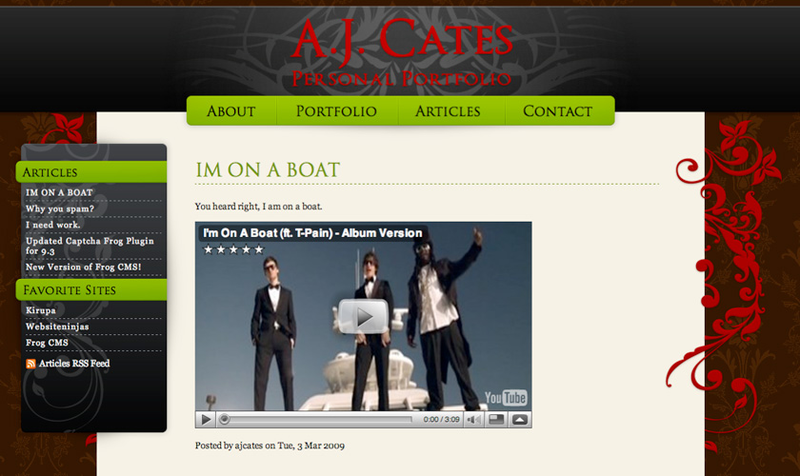 This is last years ajcates.com design, one of my favorite designs that I have created so far. 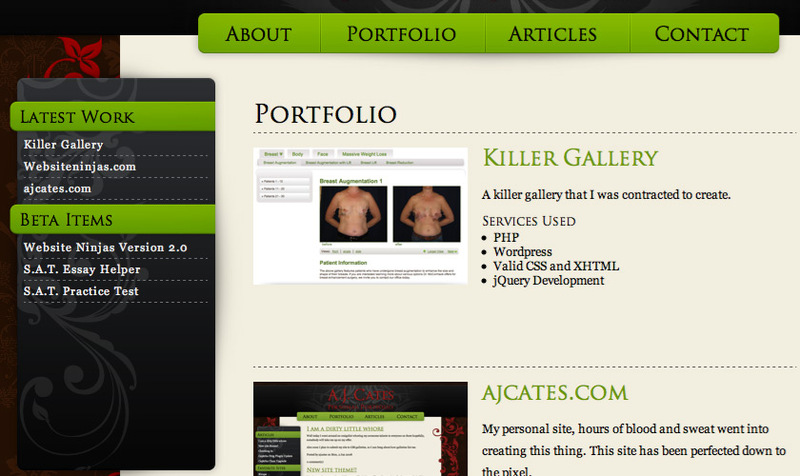 It utilitize the Frog Content Mangment System. 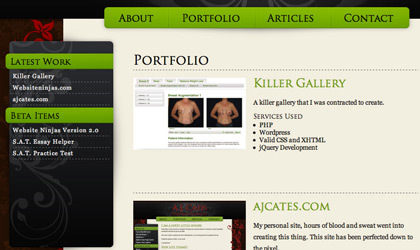 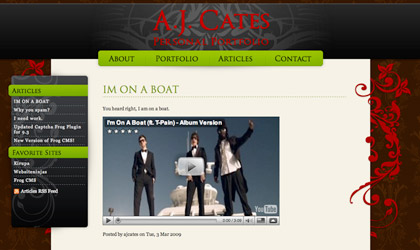 The second version of ajcates.com v2 witch was featured on CSSBased.